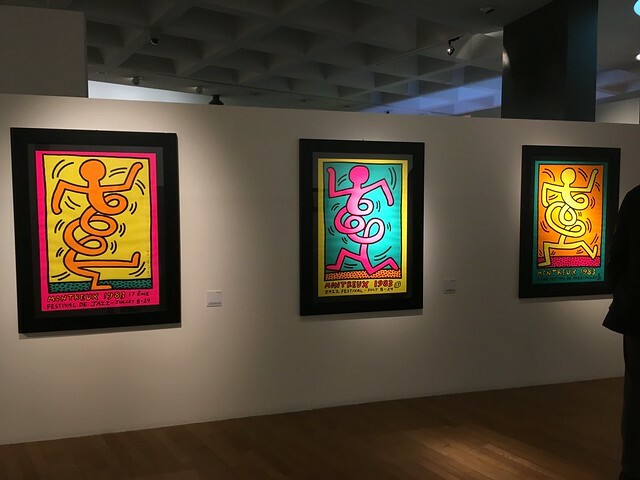 I’m not sure if I’d heard of Keith Haring before he appeared on MTV with Duran Duran’s Simon Le Bon and Nick Rhodes during their guest VJ stint. However, by the end of the hour, I was hooked on his work. He spoke little; he mainly painted the backdrop. For the record, Andy Wharhol also stopped by during that particular show. 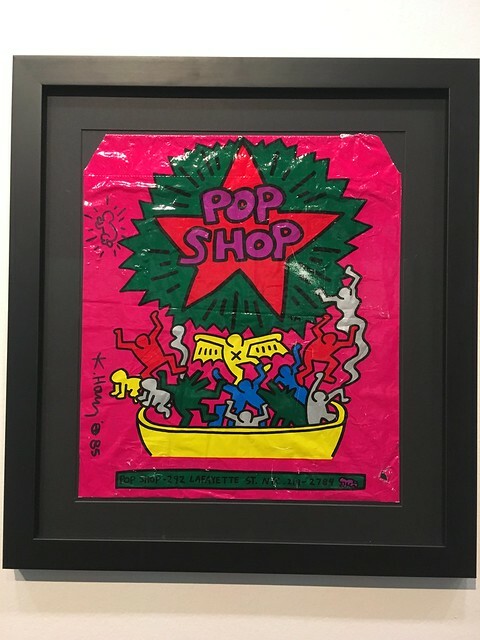 Pop art galore! That was 1985. 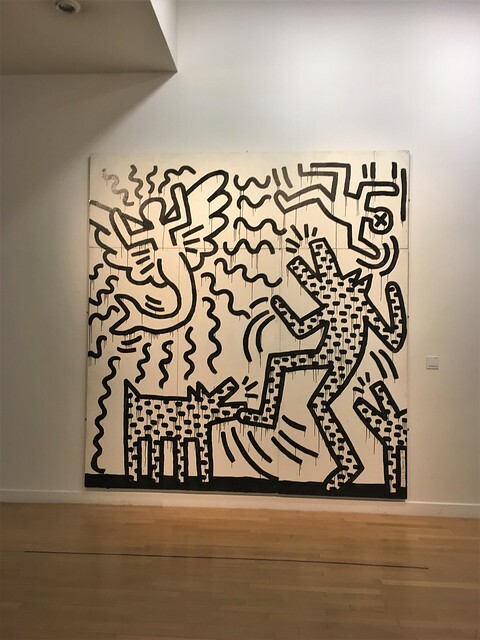 Haring had already made something of a name for himself, both as a graffiti artist and as a slightly more “traditional” artist, ie, canvas instead of concrete. Sadly, he passed away in 1990 from complications as a result of AIDS/HIV, but he still managed to produce some fascinating work. A few years ago, at the Centraal Museum in Utrecht, I was lucky enough to see one of his works in person. It was a large canvas, in-your-face, which was perfect for the overall theme of the exhibit. It was the first work you saw when you entered the exhibit and it really was breathtaking. 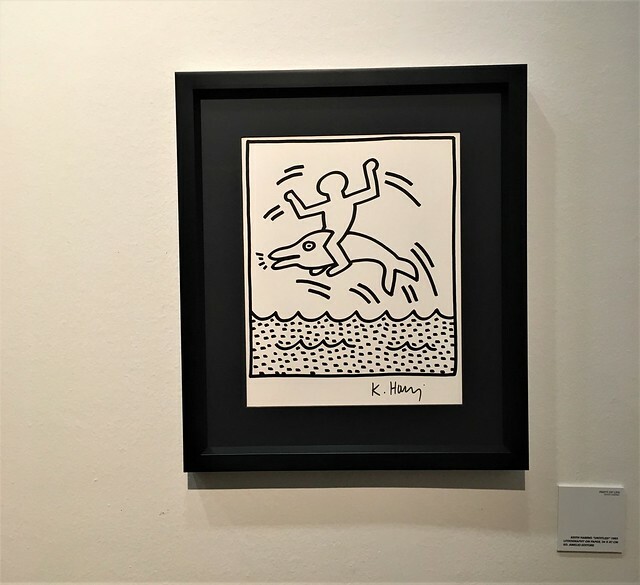 Yesterday, I had the chance to see an exhibit dedicated solely to Keith Haring. It was a small exhibit, but had some interesting pieces and seeing his work is always worth it to me. 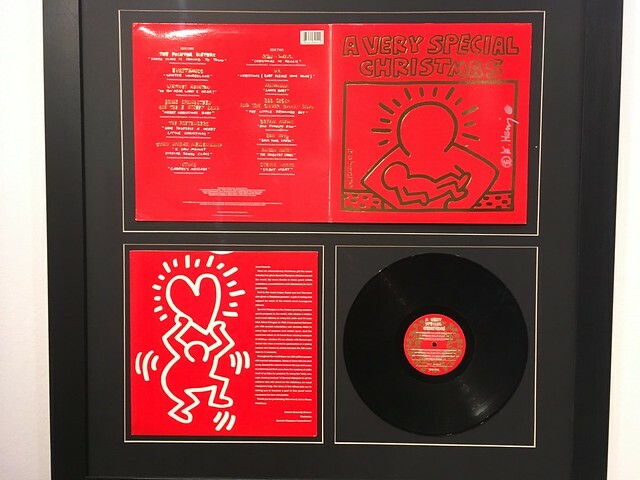 There were lithographs, posters, a few canvases, slide projections of some of his work, album covers he did, and in the background were a couple of videos talking about him from the ’80s. One was in Italian with him painting during part of the show. The other was a segment from the US morning news/culture program on CBS, Sunday Morning. You can see that 1982 clip here. That may well have been where I came across him first before the 1985 bit with Duran Duran. I honestly can’t remember. The exhibit was at the Pinacoteca here in Bologna. It was a separate show from the rest of the museum, but worth the €3 ticket. I’ve known about the show for a while, but yesterday was the last day and I finally made it! I think it might be travelling, in some form, around Italy and possibly elsewhere. That or there’s a resurgence of interest. 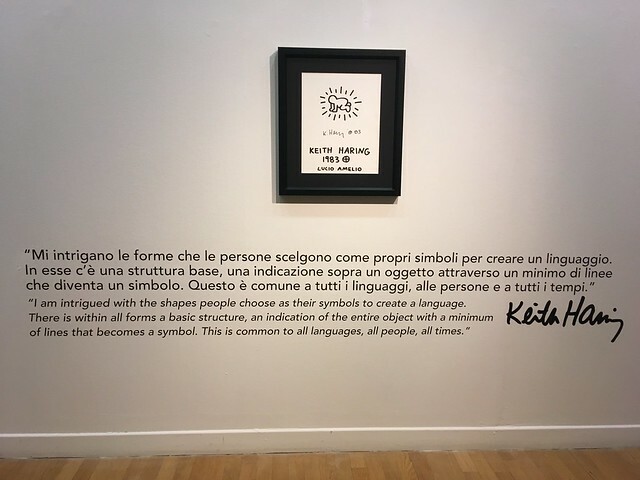 There was another Keith Haring exhibit in Florence right before this one. Anyway, here are a few photos I took. 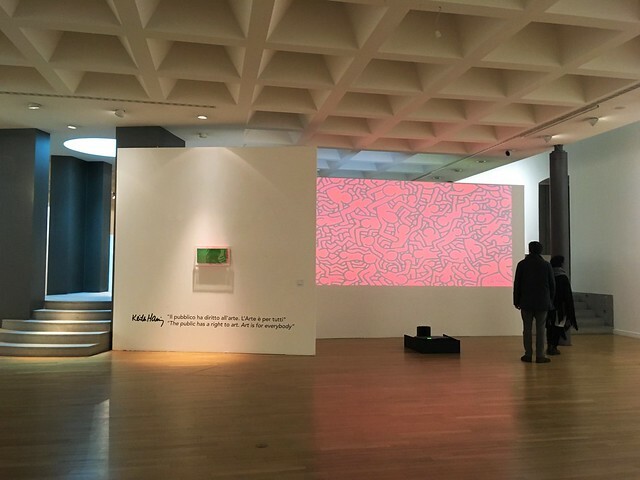 With my growing fascination with street art, this exhibit seemed perfectly timed.